Why is everyone talking about TATA these days? Well for two reasons precisely!!! First, Mr. Ratan Tata is back as an interim chairman and second Tata Hexa is the new, big and bold car from the brand. They really have to talk about the latter more aggressively. Before I go on to share all about my first rendezvous with Tata Hexa, here is some #Hexa humor that I have brought all the way from the city of Hyderabad. If you know Mumbai, you must have got the joke. Tata Hexa has enough space to impress the Mumbai car lovers while Delhiites will grab it because it will vroom on our amazing roads. 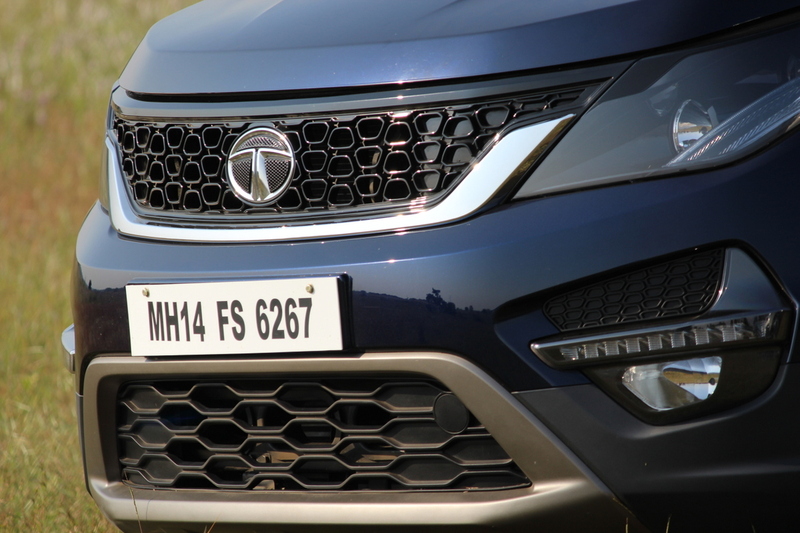 My first tryst with Hexa— The headlamps and the honeycomb grille really got my eye!! Well, who doesn’t love a bigger and a better car? Not just the car-lovers but we all do! Tata Motors has come up with a stylish beast. 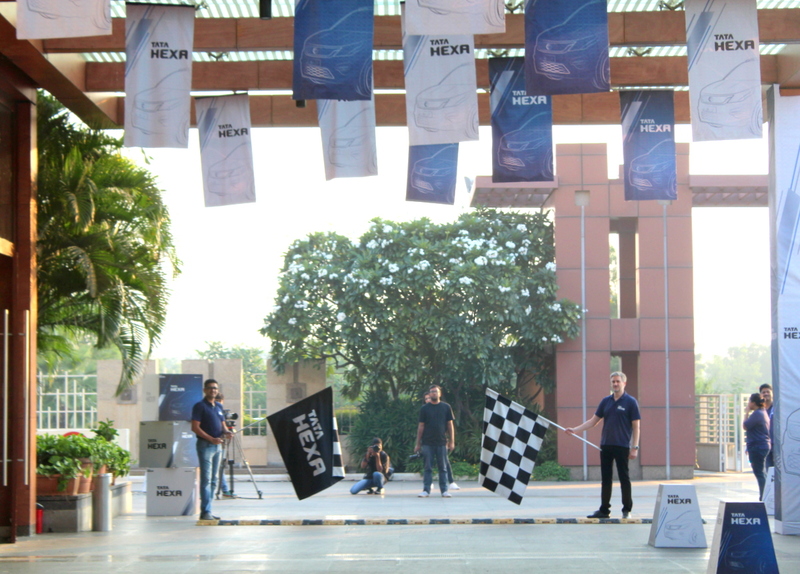 With many firsts in the segment, Hexa is the latest offering from Tata Motors. It will not be launched till January 2017 but I am one among the 60 bloggers who have already driven the car. While I had just returned from Varanasi trip, Indiblogger and Tata Motors gave me an exclusive chance to visit Hyderabad for a thrilling #Hexaexperience. I was absolutely delighted about it because I like ‘Tata’ as a brand and also it was my first visit to the city of Nizams. Though it was too short a trip to explore the capital city of southern India’s Telangana state but for me every travel counts and I love making memories. And when its unpredictable with no itinerary, its all the more fun!! Saturday was all about flying from our base locations and reaching Novotel Airport Hyderabad. Bloggers from 5 prominent cities had flown down to be there for a groovy Sunday. Saturday evening saw a short and sweet introduction from the team that is really excited about their new progeny. The presentation spoke of love, passion and aggression that had gone into its making. No doubt, the car looked classy and attractive. They did not talk about the mileage or the price range but some specifications. 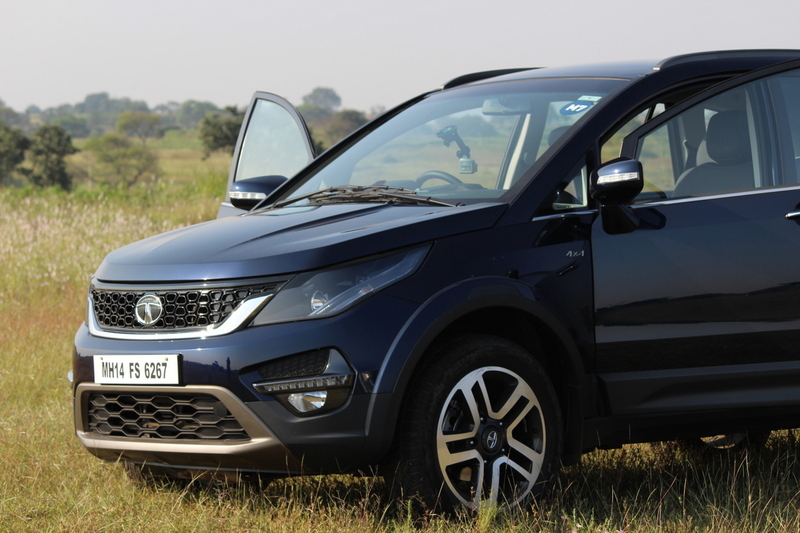 Tata Hexa— Ever since they launched Zest in 2014, Tata Motors has been constantly working hard to give us some amazing, new design cars. HEXA- You have to drive it to know it! Sunday began really early. By 6 a.m. we were all set to maneuver and test Hexa’s abilities and capabilities. 85 kilometers was the distance that we had to cover on each side. Manual driving seemed everyone’s play in my team and thus we decided to go with it first. We kept the automatic version for the return journey. Ruby from my team chose to drive first, then it was Sushmita and next the lazy driver in me. It really has to be a car like Hexa to excite me to sit on the driving seat. Honestly, I love being driven. And to me it all seemed nothing less than a girls’ road trip. Trust me, it hardly took 5 minutes for Ruby to take charge of the wheels in full gear. She began enjoying it thoroughly while I looked into the intricate details of the dashboard, 4 driving modes, air-conditioner vents, cup-holders, plastic materials, comfort of the seats and charging points. If you make a transition from a hatch back to an SUV, the feeling of driving from the incredible height is amazing. When I got my turn, I could easily feel that the visibility of the road from the driver’s seat was as perfect as it could be. The maneuvering was easy and I felt no stress on my wrists. In fact driving had never felt so easy to me. We tried all the modes and concluded that ‘Comfort mode’ is asbolutely comfortable. Of all the good things about the manual version, I remember each one us found the gears stiff initially but as we drove, it came easy or maybe we got a hang of it soon. As far as the automatic version is concerned, I simply loved it. Put it on the ‘Drive mode’ and just get on the roads like never before. The Tata officials kept telling us just play with the car, it will take you everywhere you want to go. And trust me the car lives up to these words. There is no jerk, no jump and no tension. L to %Myself, Ruby and Sushmita – Our gang for Hexa drive! Hexa- Flag off for the Sunday ride. From the Airport road, we got on to the Outer Ring Road. 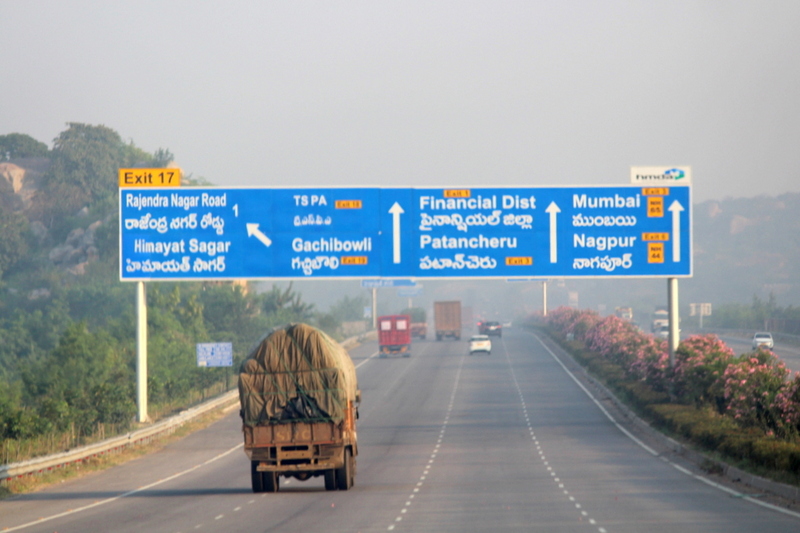 It is an 8-lane ring road expressway encircling the City of Hyderabad. 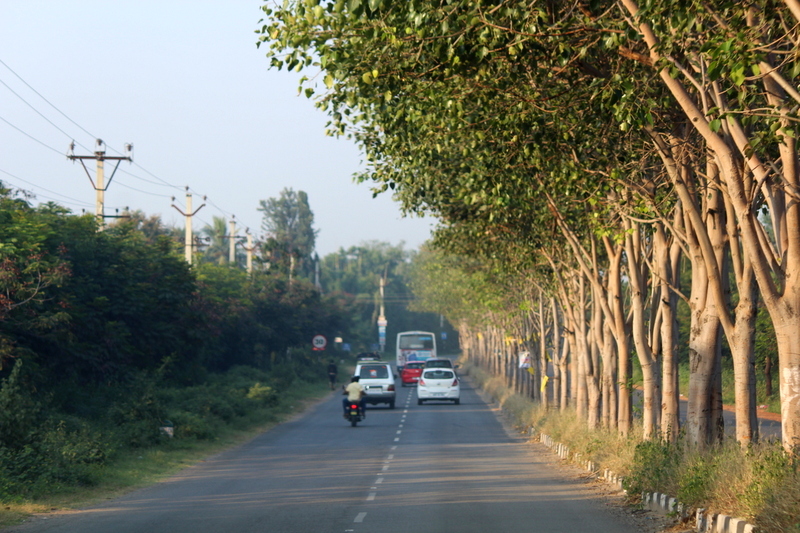 We din’t just drive on the highways or the neat roads but also through the narrow and countryside roads! To the adventure seekers, this one will just not disappoint. For the tech-freaks, this is a charmer. And for those who love driving, are looking for a family car and love doing road-trips for weekends, this could be the next car to test drive. 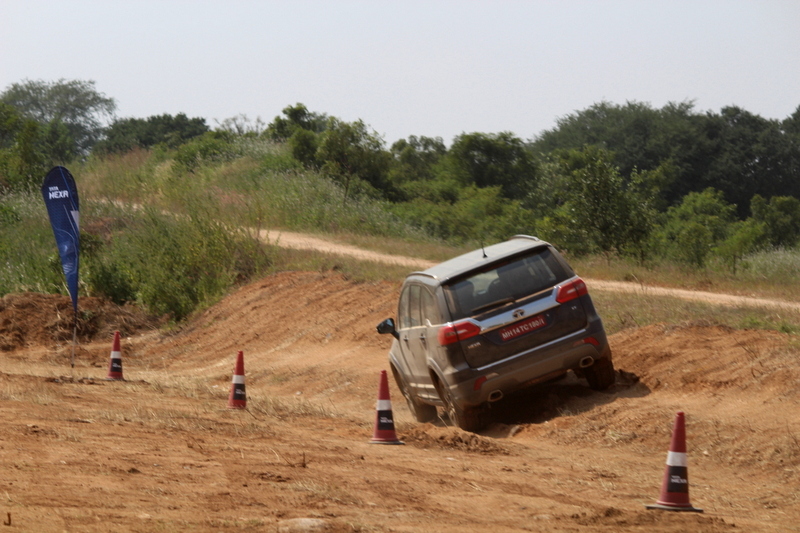 Offroading activity showed us the real strength of the car!!! 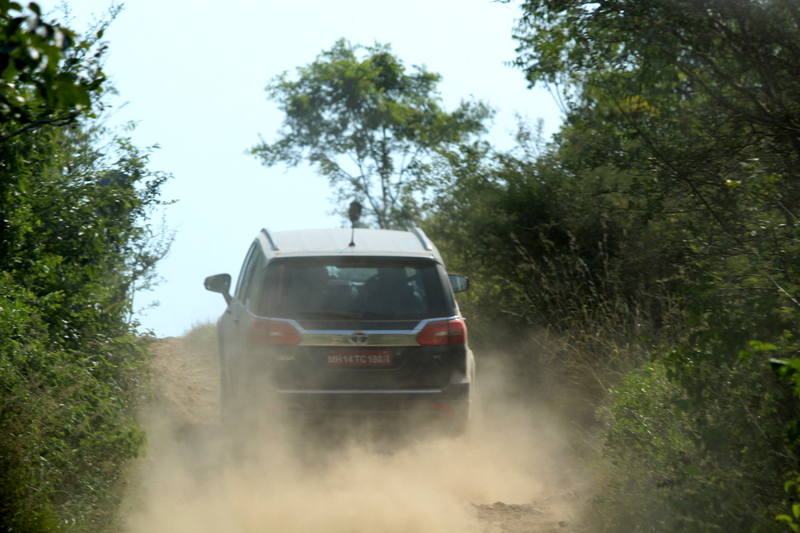 Weighing 2.3 tonnes, the car really managed to impress me with the off-roading drive. This was not just about potholes or bumps but some real hill descend, ascend, gravels and tough terrain. With all those topsy turvy moments, I did manage a few thrilling clicks as below. For a more elaborate and helpful verdict, this one ride was just not enough. But yes, I will definitely suggest that if you are looking for a new car, you must consider it as a competitive option. 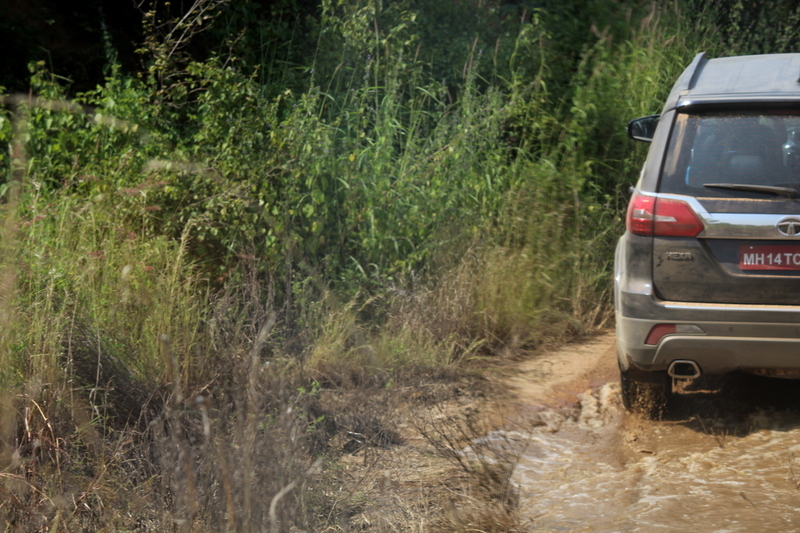 Offroading with Hexa introduced me to a better perspective around the car. I so wanna go for a test drive just by looking at the pics….hope the pricing is within decent budget…Tata Motors are u listening??? Beautifully penned down M! PS I loved having you as my roomie! Looks like you had great fun. Hexa looks like it’s a perfect marriage of style and substance. The name Tata itself sounds so comforting. I trust this brand. It really was a great experience. It was my first time driving an SUV for such a long distance, but it was a great drive. Tata hexa is new car but the design is old as same of Tata aria but some of the details have been done in a very stylish manner so that it looks new..
Pingback: A Weekend Trip to Hyderabad Under 10 Grands. Here’s How You Can Too! I took a test drive of TATA-HEXA from their Prabhadevi Showroom , in Mumbai, The Vehicle has a great pick-up, V V good power, very smooth drive, and sensitive brakes, good space and head room. I am tempted to buy the Hexa, am however concerned about Maintenance, after sales service and resale value. Must add that I met three Hexa users who have used the car for over five months , and are praising the vehicle. Hi. Have been debating on buying the XUV or the Hexa. I wanted some users who have driven the Hexa for some time now, to comment on aspects related to Maintenance, after sales and costs. Please remember – people who have used the HExa for more than 12 months ONLY to comment. I had an Indica V2 and my experience with the service people wasnt too exciting – has that changed?